Don’t be a rash Ram. Get the facts straight, before you rush in and make a sensitive situation worse. Relationships look particularly confusing so leave important decisions for another time. It’s time for Taureans to re-assess a rickety romantic relationship or close friendship. Do you need to demonstrate more commitment … or is it time to bite the bullet and walk away? You’re in the public spotlight so make sure it’s for all the right reasons. Strive to get the balance right between being creative and being organised, and don’t neglect your home life in the process. You’ll be tempted to make vague promises this weekend, but don’t commit to future projects unless you’re sure you have the time and energy to follow through on your well-meant intentions. Resist the temptation to shop up a storm, and use retail therapy as entertainment. Find less expensive ways to amuse yourself! When it comes to joint finances – have you got all the facts? The Full Moon energises partnerships and joint ventures, but Neptune makes matters more confusing and complicated. Don’t assume things. Sit down and listen to what loved ones have to say. The Full Moon highlights health, diet and exercise plus emotional and spiritual wellbeing. Issues from the past could also arise, as unresolved matters demand to be addressed ASAP. Expect a creative and chaotic time, especially involving children, teenagers or friends. Draw up a to-do list – and then be flexible enough to change and tweak it as the weekend develops. You may drive everyone crazy with your impatient, impulsive ways – which are magnified by the Full Moon. Channel excess energy into professional projects and domestic chores. The Full Moon increases your energy levels – and your determination to get things done. It’s also a terrific time to network with colleagues plus develop a new social media strategy. It’s not a good time to go on a shopping spree or lend money to others. You’re liable to make financial decisions based on your emotions, which are fluctuating wildly under the full moonbeams. Expect a rollercoaster ride, as the Full Moon lights up your sign. You may have mood swings and emotional dramas – but there’ll be plenty of creative inspiration and spiritual insights as well. Aim to get the balance right between being creative and productive. You’re not as confident on the inside as you appear on the outside. 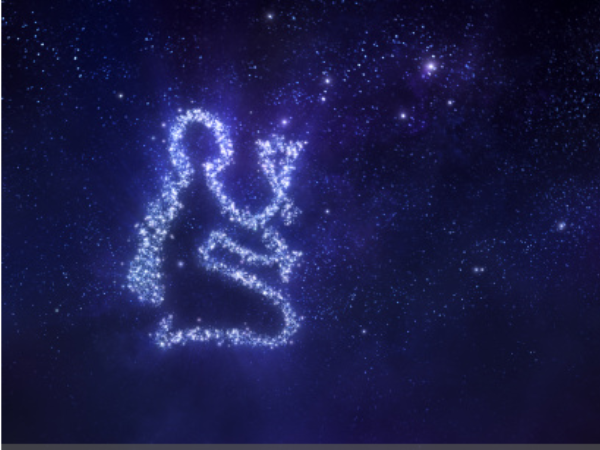 The coming year brings some challenges, which you’ll handle with extra Virgo vim and vigour. It’s crazy Full Moon time, when emotions are high and self-control is low. Organised and reliable, others can depend on you. Over the next 13 months, Jupiter encourages you to be more flexible, let your hair down and have some fun!